For my weekend trip to Sabkhat Al Fasl I was joined by Phil Roberts and we set off early to get to the site for first light. The weather was again not as good as would have been liked with cloud cover and wind and quite a bit of dust around. We normally see Greater Spotted Eagle as our first bird on trips to this site but today we failed to see any for the first time since the summer last year, so they may well have all moved off to their breeding grounds to the north-east. As last weekend we saw plenty of Shrikes about with the majority being Turkestan Shrikes of which we saw at least 25 birds. A minimum of 15 Daurian Shrikes were also seen and a single Mauryan/Steppe Grey Shrike and a single Southern Grey Shrike were also present in the scrubby desert area on the way into the main site. Unlike last weekend the number of wheatears had declined markedly with only two Pied Wheatears and a single female Northern Wheatear seen. Yellow wagtail numbers were well down on the last few weeks but 12 birds were seen including adult male feldegg & beema. 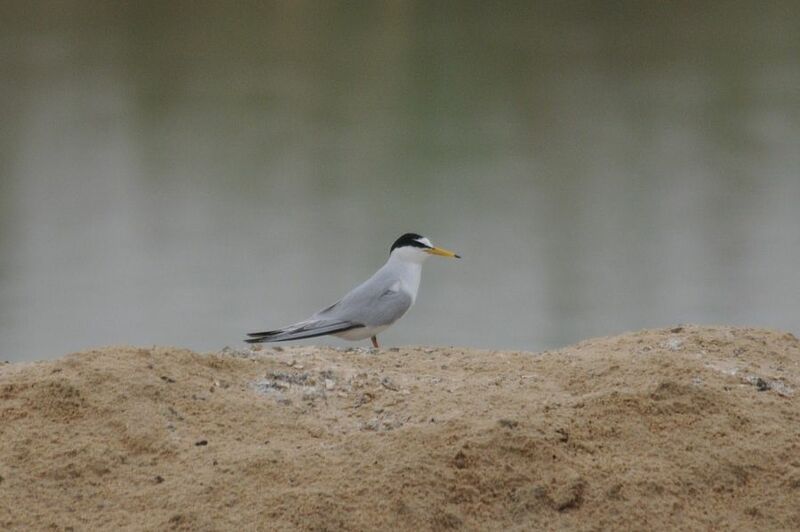 The back pools held two adult Whiskered Terns, 7 Little Terns, six Squacco Herons and a Spotted Crake was seen in the reeds at the edge of the large expanse of water, which was a new species for the site for me. A small group of six pipits caused us to stop and look carefully, but they all turned out to be Tree Pipits and whilst looking at the Tree Pipits two Greater Short-toed Larks were also located. 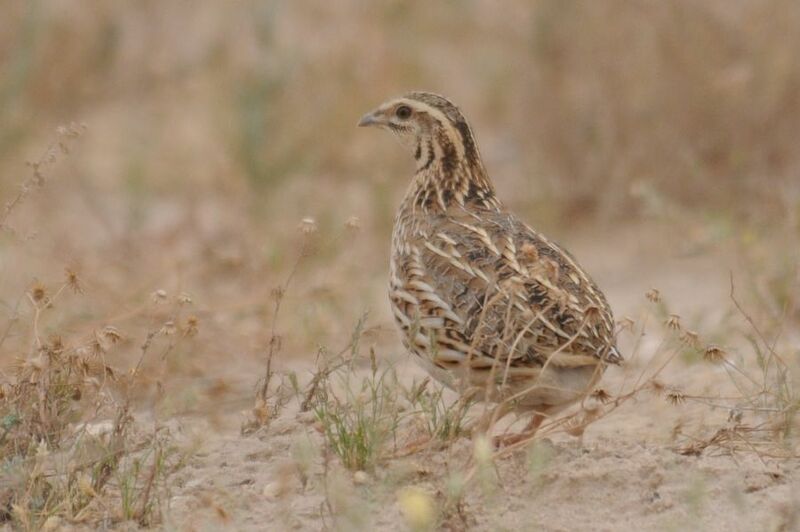 As we were leaving the area a confiding Common Quail showed well before running off and hiding in the nearby scrub. Whilst driving along the edge of the reed beds we found a single White-spectacled Bulbul, but unfortunately it flew off before any photographs could be taken. 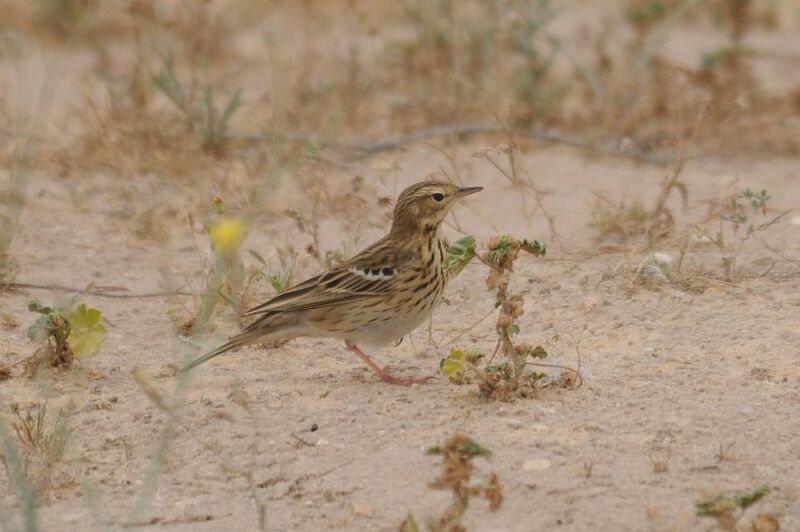 This is a rare vagrant to the Eastern Province of Saudi Arabia with only one previous record involving five birds at Harad in 1982 (Bundy et al . 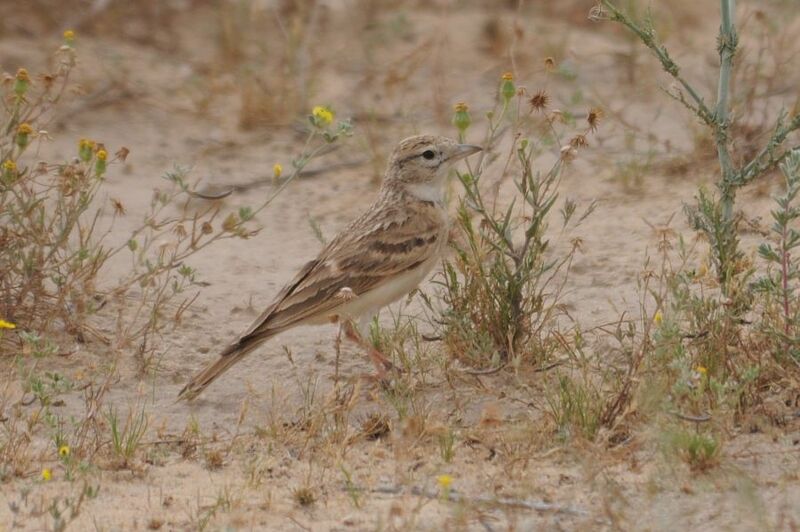 The species is not scarce in Saudi Arabia and is a common breeding resident in the south-west of the country and can be seen regularly around the Riyadh area, but very rarely wanders to the Eastern Province. There is a small chance the bird may have been an escape from captivity but it looked in very good plumage and health so we are assuming it was a wild bird. A single Rufous-tailed Scrub Robin showed well but the light was not good for a photo as it posed quite nicely on the reeds. Good waders seen included two Spotted Redshanks, three Wood Sandpipers, three Common Snipe, three Marsh Sandpipers, one Temminck’s Stint and three Green Sandpipers. Purple Swamphen sightings are increasing again with a number of birds with young being seen and Little Terns are now being seen in good numbers all over the site. The flooded sabkha at the back of the site held over a thousand Greater Flamingos, 200+ Pied Avocets, 100+ Ruffs and 20+ White-winged Terns. Western Marsh Harriers were still about in reasonable numbers and a fine adult male was seen by the pumping station which is unusual as almost all records are of female and immature birds. The only other birds of prey we saw were two Common Kestrels. A sinlge Great Reed Warbler was the first returning bird of the year for me and was seen well in the reeds behind the flooded Sabkha.